We are very pleased to share with you an interview held November 13, 2010 with our blog editor, Crystal Smith, and Betty Makoni, the founder and CEO of Girl Child Network (GCN). GCN provides safe and secure places and spaces for abused girls, run by professional social workers and based in rural communities. The organisation also provides small grants for GCN clubs and self-help projects to help girls survive. We will present the abridged interview in two parts. Part 1 appears today. 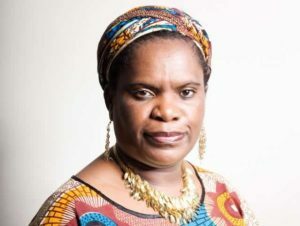 Part 2 will be posted later this week and will include a full transcript of the interview in PDF format, for those who wish to read more about Betty Makoni and GCN. Tell us about how Girl Child Network (GCN) came to be. GCN started in Zimbabwe at a very poor school in a high-density suburb… with a population of over one million, unemployment was almost 80%. I had, as a teacher, deployed to this school but also as a young girl, I grew up in the neighbourhood. What a coincidence that they deployed me to teach in a place where I was born and brought up. I still had some very tragic memories of being raped as a child, of being a child labourer at nine years when my mother died. Also, my mother lost her life in domestic violence. Here is part two of our interview with Betty Makoni, the founder and CEO of Girl Child Network (GCN). To read a transcript of the complete interview, download the PDF PixelProject-BettyMakoni-Interview-Nov2010. To read part one of the interview, click here. Please tell us about what Girl Child Network has achieved so far? What I can precisely say is one—just to create a platform for girls, which was not so much there. And then, the number of girls empowered…I’ve lost count actually of the number of new breed of women we have in the world today. They are so scattered…So all my girls who have spilled over the world carried the model with them. Another big achievement is that the girl is now a priority issue with a lot of policy makers. Wherever you go, everyone has created a department for girls. So I think we have actually influenced a lot of people in the world. Then, as GCN, we are coming almost from a village and now, we are at the centre of the globe. Rarely do you see an African organisation positioning itself globally like what we have done. Do you think violence against women has become the most pressing issue of our time? If so why and what can the layperson do about it in your opinion? When we are looking at violence against women (VAW), we are also looking at the foundation we did not build when girls were young. VAW is a clear indicator that something went wrong in terms of girls’ empowerment. So, it’s a pressing issue, yes, because these are historical imbalances…If we did not educate women, if we started war, if women are not in leadership positions, if they are not advocates in the cause, if they are not defenders of human rights, yes that is a pressing issue now. So the lack of empowering girls was actually a build-up to this issue. Now, the layperson can look at three things: their home, school, and community. Just look how your family is. If your family is still perpetuating the same gender stereotypes, it means that it spills in your school, that it spills in your community, and into your country. If a family has got some inequalities, an individual will never go anywhere. When it comes to the workplace, a lot of people don’t even know their rights. So for the layperson I would suggest that we repackage all laws, put them in the simplest language, so that everybody has got a culture to know that if I am violated, it’s not right—it must be a case. Then for the layperson to know most wars are not being fought in the bush out there. The worst wars are being fought in our homes. So peace starts in the home not outside there. You are now in exile from your homeland due to death threats – how do you continue your work? Where do you find the strength and the resources to do so? Most people would have crumbled long ago. Maybe I can also explain the circumstances that led me to be in exile a little bit so that you understand and why I feel it should continue. So I lived in, like, mental enslavement. I became also terrified and I had a family…In 2008, somebody told me, “Betty, I love what you do, I work for the Secret Service, there is a plan to eliminate you. Please, my sister, take your bag only tonight and just cross the border.” So I crossed the border to South Africa. That’s how I survived. So, at the time when I was almost at the verge of collapse, when the world was almost taking me to be a fraudster, CNN came in and they said, “Somebody nominated you as a hero.” [Ms. Makoni ended up in CNN’s top ten.] So when people from CNN started making little donations to me, that sustained me up to today; up to a stage where I formally registered the organisation now in England and I have been allowed to operate which means now I am on the go. I now send [my girls] money [and] they do what they think can help them move forward, so that’s what I am now. Can you tell us about the film Tapestries of Hope? How was it received? Where can people watch it? I wouldn’t want to…say I’ve got full details, but so far I’ve received quite some positive messages of people wanting to go to Zimbabwe and volunteer…what I can gauge is that a lot of people have sympathy for the girls and they want to do something. It means, now that we have launched our organisation, we are going to join everybody in whatever they are thinking of doing in terms of their helping. So that’s all I can say. And, yes, there are going to be DVDs, so [the director] Michealene Risley will formally announce that. But what really disturbed me when I went to my class—girls were not coming to school. So I actually assumed another role of an activist in the class because I protested against teaching boys only. … later on [I] called their parents to school and said…”I cannot teach half a class. If your daughter does not come to school, I will come knock your door. I’ll knock it to an extent that you open it.” [And I did.] Most of them agreed with me. They really respected my position that things were not right, we shouldn’t pretend. So girls started to get reading time, homework time, they started sharing the chores, they stopped sending girls to market, to pubs…where they sold things by the night. So I literally abandoned my role as a teacher. And then I started going to police stations, to pubs where the girls were, doing marches. We started off as 10. It went onto 50, it went onto 2,000, then we were 5,000 by 2002, and as I speak to you now in Zimbabwe we have got a membership of 70,000 girls. So girls just multiplied like that. Why do you think it is important to focus on girls? I just want to quickly give you an example. [Two cars are] travelling on the road. One is travelling at 120 km/hour—that’s like a boy. Another one is travelling at 20 km/hour—that’s a girl. It means the car that is travelling at 20 km/hour has got a problem. In order for each to be with matching speed, we must do something…Working with girls does not mean we are not working with boys. We are focusing on girls in order for them to move at the same speed. We focus on them to transform them from being like a passive victim to the “masculine” qualities that we want because, if they remain so feminised, they cannot face the tough world. It’s all about standing tall. This is what we teach boys: a man is strong. We can say to the girls the same: a girl is strong. So when they are young, that’s the only way we can instil everything in the girls, so that during their development into womanhood, it’s not too late to actually change a mindset that is so accustomed to being abused. What do you hope for Girl Child Network to achieve for girls worldwide? We want to build a critical mass…We are saying girls should not be spectators—they must be activists. You start activism not when you are thirty, but when you are below 18. So that’s why we want every girl, everywhere to stand up… abuse of girls or gender inequality knows no colour, knows no religion, knows no creed or culture. It’s across the board. It must be fought equally. The Pixel Project – It’s time to stop violence against women. Together.